And she'll make sure no one stops her from getting exactly what she wants. A clever, but terribly sad, prologue gives the reader an instant insight into why Lily aka Juliette is the way she is. This terrible event moulded her into the person she has now become: a terrifying bunny-boiler. Reader, meet Juliette - the character you will love to hate. Juliette had the perfect relationship with Nate until they broke up. Nate just doesn't realise how much he loves Juliette and how they're meant to be together forever, that's all. Once he comes to his senses, Juliette will get her man back and if he doesn't realise how much he loves her then she'll darn well make him! Juliette is a scary character; she is completely unhinged and selfish but as much as I wanted to dislike her I really couldn't. Reading her back story made me feel so sad for her but sometimes she really didn't help herself. As scary as Juliette was, I couldn't help but think that Nate caused a lot of Juliette's neuroses by being so spineless. Change your locks, man! Nate played into Juliette's hands so easily, partly because she knew him so well and partly because he is weak. I didn't like Nate much, did I? It's a very fast-paced story as Juliette's plan to win Nate back picks up speed and I didn't know whether to applaud her or call the psychiatrist when parts of her plan were revealed. I loved some of Juliette's ideas to get back with Nate and, epitomising the true meaning of obsession, she really will do anything to ensnare her man. If Nate had a bunny, it definitely would have been boiling on his stove when he got home from work. 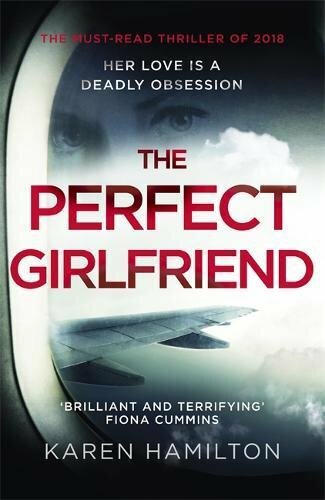 A fast-paced page turner that really gets under your skin. A riveting and addictive debut by Karen Hamilton that makes her one to watch in the psychological thriller genre. 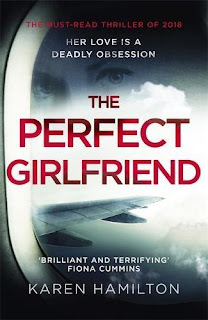 When love and obsession collide, be prepared for anything to happen in The Perfect Girlfriend.